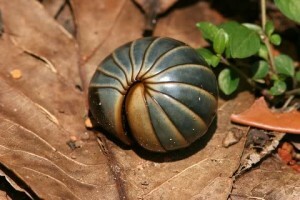 I want to curl into pill bug formation and protect myself. I’m sitting in a Schlotsky’s restaurant. It used to be the best Schlotsky’s in the nation with upscale décor and classical music. That was back when the founders of Schlotsky’s owned the place. But then they expanded the company too quickly, got into financial trouble and sold the chain to Texas Burger. Texas Burger sold it to … lord, I lost track. All I know is that now the place is a dump with torn burgundy booth cushions, wobbly tables, and chairs that need refinishing. Even the ice machine is broken. Why am I mentioning all of this? I’m trying to be observant. I used to notice everything — décor, music, scents in the air, people, their clothes, their hair, their faces, their moles, their conversations, their language, how they treated and interacted with their children, everything. Now, I notice nothing. I don’t know if I’ve become so narcissistic that I don’t care or think about anyone else or if I prefer pill bug mode out of self-preservation. Perhaps this started after Breaking Point and the first Andrea Yates trial. For those who don’t recognize the name Andrea Yates, she is the Houston mother who drowned her five children in 2001. Breaking Point is my book about the case. It came out just before Andrea’s first trial began. Since the judge on the case placed a gag order* on the family, the attorneys, the cops, the experts witnesses, and any other person remotely connected to the crime, investigation, and court proceedings, the media had no one to interview … but me. I was considered the expert on the case. Often I was on TV multiple times a day talking about Andrea, her husband Rusty, the children, mental illness, and the trial. I was on TV so often that I’d walk down the street in Houston and someone would yell at me, “Hey, Suzy!” I’d turn around with a big smile on my face expecting to say hello to a friend or acquaintance only to see a complete stranger. It was a bit frightening. And it made me understand why singer Debbie Boone’s mother had given me such a terrified look. Decades before, I was walking down a street in Beverly Hills, when I saw Mrs. Boone staring into a store window. I said, “Hello, Mrs. Boone.” She turned around with a bright smile on her face, ready to say hello to a friend of her daughter, and saw an absolute stranger. The fear on her face read that she was terrified I was going to do her harm. I felt badly about that. I wanted to say, hey, I know your son-in-law. He was a gospel music record executive and I sometimes wrote bios and album liner notes for gospel singers (back when there were lps). But Mrs. Boone and I both rushed our separate ways. Now, sitting in the Schlotzsky’s, I force myself to look around. A man at the next table is talking too loudly for my comfort. I want to hide in my computer. Three men sitting behind me feel like they’re sitting too close to me. I want to hide in my computer. An overweight elementary student is licking a Carvel’s ice cream cone as her overweight father and obese mother watch and laugh with her. She has on cute black sneakers. I realize I don’t notice details like I used to. Cute black sneakers — what does that tell you? If I closed my eyes, I couldn’t tell you the details that would make this child come alive in my writing so that you could see her, smell her, hear her, know her. How are her shoelaces tied? Are they loose like she’s just learning to tie them? Like she’s been running and playing so hard that they came apart? Are the toes scuffed from tripping in the sand or kicking walls? I go back to typing and slowly, this shift of people leaves. I can actually hear music. It’s jazz — elevator jazz. Back when I used to notice my surroundings, I was sitting in this same restaurant. I spotted a group of cops sitting near me, their pistols at their hips. I read their nametags. That’s not true. I read one nametag. “Sgt. David Carter.” And I got no farther. I took a deep breath. I kept on eating. I needed to talk to Sgt. Carter. He’d handled the Regina Hartwell murder investigation. Regina was the murder victim in my first book Wasted. But I’d been too chicken to call Sgt. Carter. Now he was sitting steps away from me. I kept eating, trying to gut up and go talk to him. I pulled out a business card. I stood up, dumped my trash, walked over to his table, handed him my card, spoke a few words, and exited as fast as I could. By the time I got home, my phone was ringing. It was Sgt. Carter. The din of conversation grows as a new group of customers takes over. They’re a bit quieter than the previous. Part of me wants to look around, notice their clothes, their faces, and make up stories about them. That’s what I did when I wrote fiction – stare at people and make up stories about them. Their histories. Their arguments. Their loves. Their losses. Their desires. But I don’t do that this day. I feel like I’ve taken this table too long and that I need to get home and get to work. Maybe that’s why I don’t notice my surroundings and people anymore. Maybe I’m always working. That’s the strange thing about being a writer. We have to go into pill bug formation to observe to find stories and characters. We have to go into pill bug formation to sit alone and write. But if we stay in pill bug formation, well, it’s almost like we become self-absorbed narcissists. * After the trial, the judge’s gag order was ruled illegal. Seems as if being sharply observant has spilled over into being on the receiving end of an empathetic overload. Suzy, I became a fan of yours through your appearances on ID; I became a fan because of the way you talked about the people (Regina, Kim, Justin) you wrote about. The way you describe them with such feeling and heart, as if you had known them personally, because of that element in your description you bring their stories to light in a special way. It makes the listener want to delve in, to learn more, and read more about these very real people. It comes across that you truly do care for the people you're speaking about (that you've written about). There for considering your focus is true crime, I think another protective aspect of the "pill bug" mode may just come with the territory when you're a very empathetic person, getting to know people who are going, or have gone through, the most horrendous (sometimes deadliest) part of their lives. In that there's also a lot of seeing hat monsters really do exist, and they go around with faces much like ours. So from the way I've heard you speak of people I think it's more of that than anything near narcissism, when it comes to YOUR pill bug mode ( just my little old opinion)! Anyway (I'm so long winded sometimes), I just wanted to say I ove your work, love seeing you speak about people, projects, and ideas on various shows, and I really loved this piece of writing right here. I though it was descriptive in your surroundings, and also about your thoughts about yourself questioning yourself/trying to kinda figure yourself out, which is something I always love, and find fascinating in people (when they truly and honestly do it)! Oh, Monifa, thank you. In my state of exhaustion after a sleepless night thinking about Regina Hartwell and Jeremy Barnes, I so appreciate your sweet words and encouragement. Thank you.